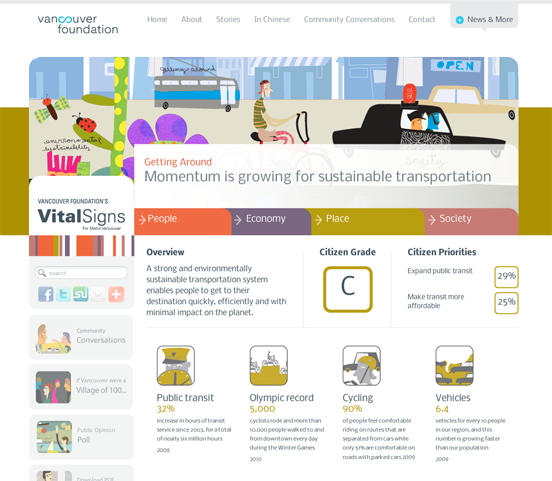 Graphical site by the Signals Design Team. 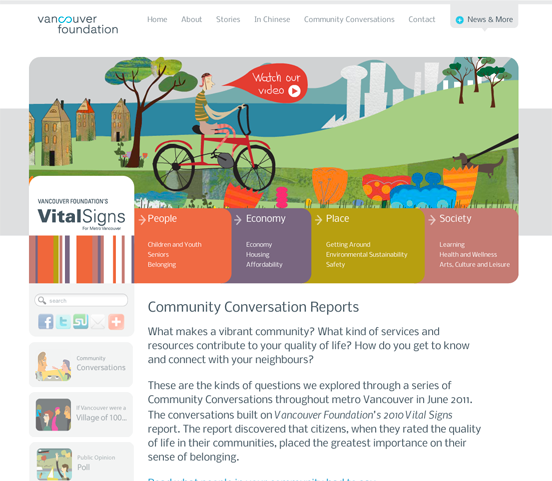 When integrated into WordPress it was a cinch to display Vancouver Foundation's 2010 census findings. 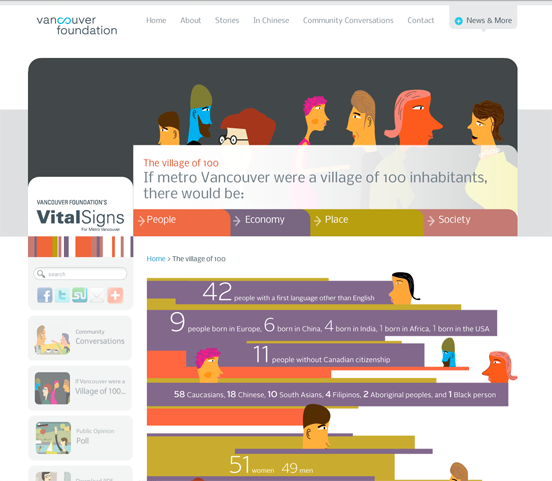 Vancouver Foundation needed a site to display its 2010 census findings. A completely different illustrative/animated approach which proved to be very successful. An introductory viral video was also produced by Signals Design Group as part of a bigger social media strategy. My role at Signals Design Group was to integrate a very illustrative site into WordPress. The core component was the backend, allowing the client to input its collected data into fields — a task very well suited to WordPress. One the region comparisons page, I used a plugin (Easy Chart) and customised its behaviour so it could be regenerated when the user interacted with form elements. Otherwise a very graphical site, which was a huge success when it was launched.